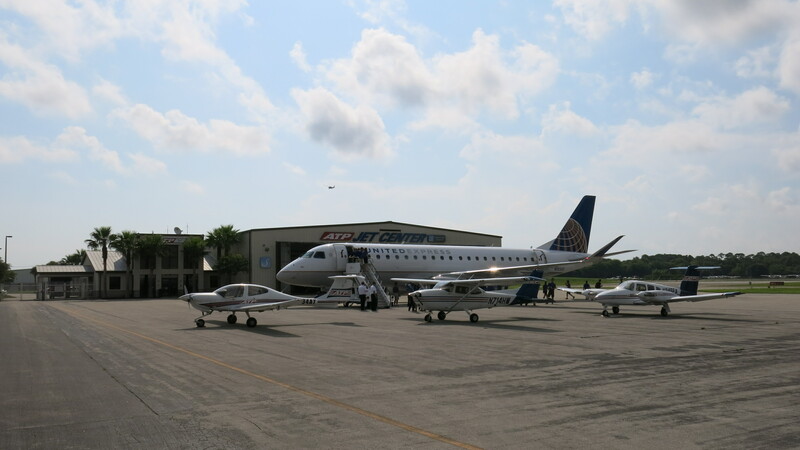 Mesa Airlines flew their latest new E175 fresh from Embraer’s headquarters in São José dos Campos, Brazil to the ATP Jet Center adjacent to ATP’s Daytona Beach Flight Training Center to show our Instructors and Students what they will be flying soon. 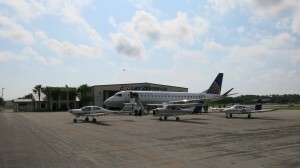 The aircraft is the second of 30 on order by United to incorporate into Mesa’s growing United Express fleet. Mesa has been hiring a lot of our pilots to fly these aircraft as well as new CRJ900s that Mesa is adding to their fleet. 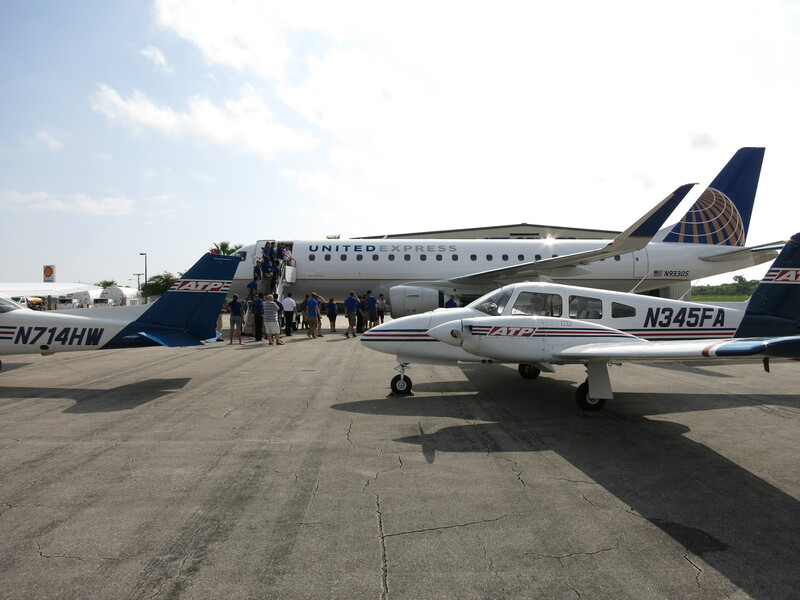 Their rapidly expanding fleet is being flown by Mesa’s expanding group of pilots, many of whom were in training with ATP not long ago. Joining a growing pilot group, such as Mesa’s, results in much less time spent on reserve, as well as being granted desired crew bases and aircraft sooner then anytime in the recent past. 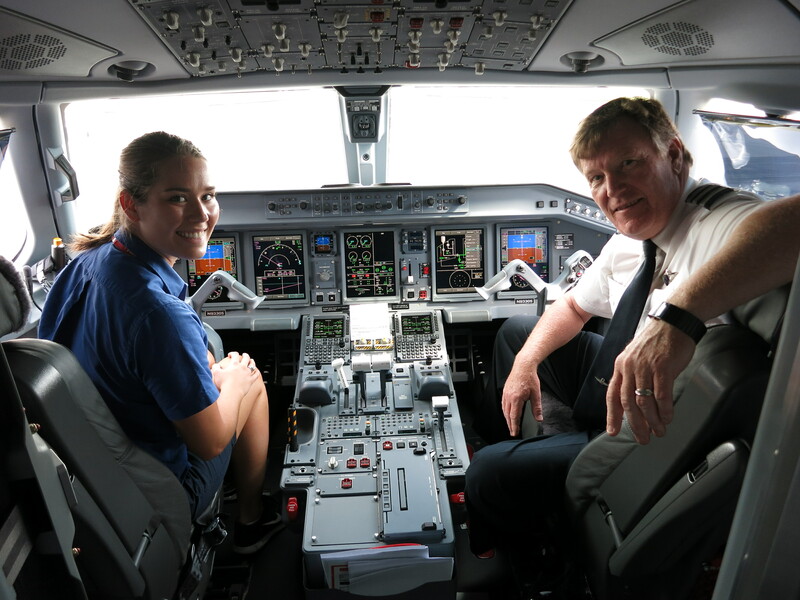 Pilots who recently left ATP to fly for Mesa are nearing upgrade to Captain within a few months, after only being there a year, and I will be writing about them soon. Mesa has promised to bring more new E175s to our Flight Training Centers over the next few months, please come out to take a look. If you do, and want a career flying one of these marvels for a living remember that ATP can get you there and get you there first.